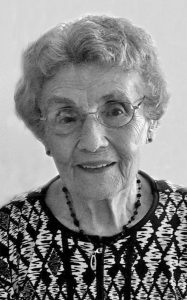 It is with sadness that the family of Lena (Derksen) Klassen announces her passing in Long Term Care at the Coaldale Health Centre on Monday, November 5, 2018 at the age of 91. 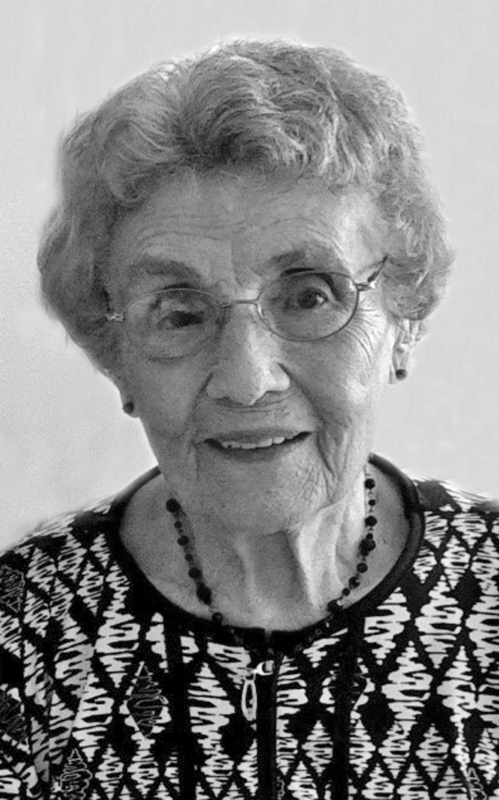 Lena was born on June 21, 1927 in Gruenfeld, Russia, and came to Canada in 1949. She is survived by three loving daughters, Elvira (Vern) Unrau, Annie (Jon) Gill, and Lora (Shane) Hirsche; seven grandchildren Kevin (Kara) Peters Unrau, Brian (Jenny) Unrau, Aaron (Lyndsey) Gill, Nathan (Emma Reh) Gill, Jared Hirsche, Jeff (Kalee) Hirsche, and Brailey Hirsche; eight great-grandchildren Micah and Lucas Peters Unrau, Owen, Leah and Cassidy Unrau, and Olivia, Sadie and Wesley Hirsche. Lena was pre-deceased by her husband Peter, parents Aron and Helene (Neufeld) Derksen, her brothers Aron and Bernhard, and infant son Willy. Lena was dearly loved by all of her family and she will be greatly missed. A Funeral Service will be held at 2:00pm on Thursday, November 8, 2018 at the COALDALE MENNONITE CHURCH, 2316 – 17 Street Coaldale, Alberta, with Pastor Kevin Peters Unrau officiating. Family and friends are invited to pay their respects one hour prior to the service. For those who wish, memorial donations in Lena’s memory can be made to Mennonite Central Committee, 1117 – 2A Avenue N., Lethbridge, Alberta, T1H 0E6 or to Operation Smile 375 University Avenue, Suite 204, Toronto, Ontario, M5G 2J5. Sending sincere sympathy to Lora, Shane and their family at this sad time. It’s nice to see a picture. She looks like such a sweet woman. You will miss her as will the rest of your family. Thinking of you.